A number of volunteer Fixit Groups have evolved in the past few years to bring people material know-how and empathy to their ill and ailing possessions. The volunteers are eloquent and articulate when it comes not only to instructing you on how to fix your broken object, but in terms of the relationships people have with their objects, how those relationships change when they are about to discard something, and how it changes again when they learn to fix or re-purpose the object. 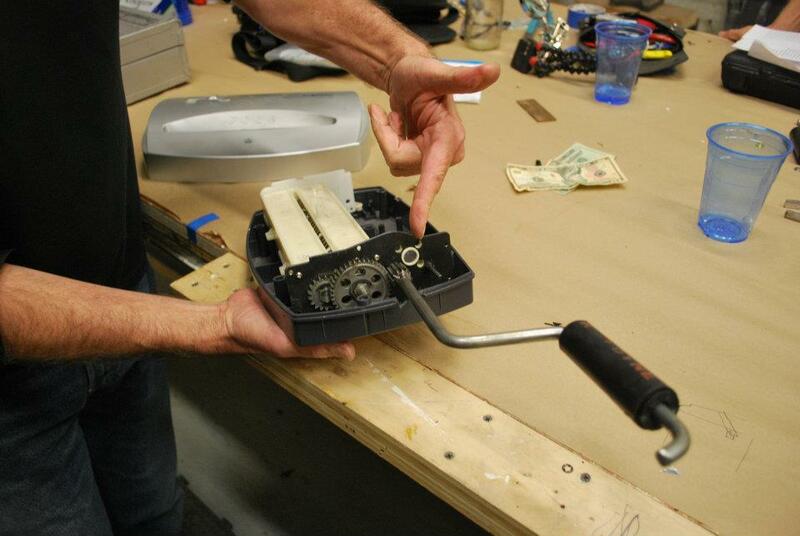 Creation of a hand-cranked paper shredder in a Fixers Collective workshop. There is a Fixers Collective group in New York City, and the SF group has a Clinic at MIT on Jan 28th. Details of the MIT event below. Fixers’ Collective NYC is a group of folks dedicated to working together to fix things – encouraging improvisational fixing and mending and fighting planned obsolescence. Our goal is to increase material literacy in our community by fostering an ethic of creative caring toward the objects in our lives. You can check for upcoming Fixers Collective workshops on their website or join the Fixers Collective on FB. Fix your broken stuff — Or at least learn more about it by disassembling it. Bring your broken, non-functioning things: electronics, appliances, computers, toys, etc. for assessment, disassembly, and possible repair. We’ll provide workspace, specialty tools, and guidance to help you disassemble and troubleshoot your item. Whether we fix it or not, you’ll learn more about how it was manufactured and how it worked. This is a family-friendly event: children are heartily invited! To make friends, learn how things work, and have fun! “Like” Fixit Clinic on Facebook. Join the Fixit Clinic Group Page. Want to help as a fixer / troubleshooter guide at this event? 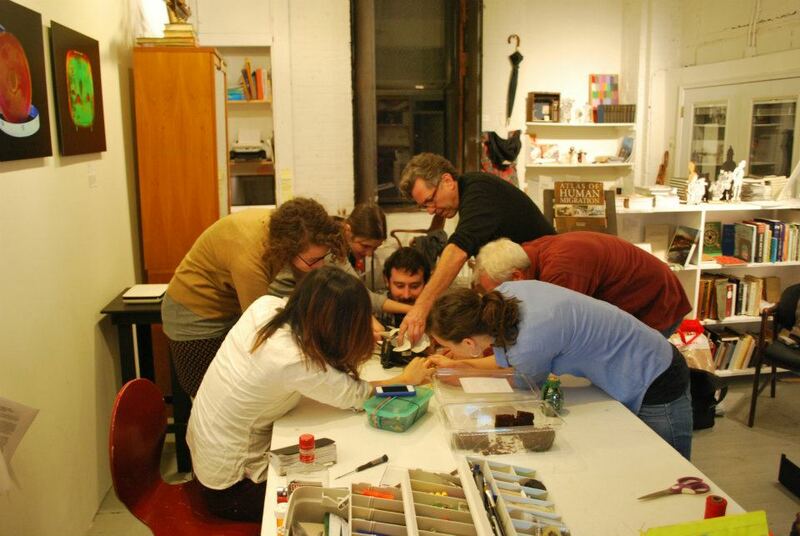 NYC Fixers Collective participants collectively remove a HEPA filter. Image copyright Fixers Collective. This entry was posted in Labor, Repair & Maintenance, Waste. Bookmark the permalink. Pingback: Nicht wegwerfen – reparieren!